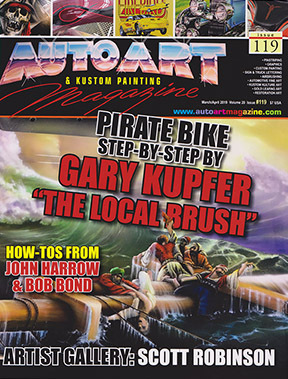 " The Industry News Provider "
AutoArt Magazine is the only publication devoted to the entire Artform. Topics include: Pinstriping, Custom Painting, Sign/Truck Lettering, Graphics, Airbrushing, Vinyl Graphics, Automotive Fine Art, Kustom Kulture Art, Gold Leafing and much more. AutoArt Magazine is bimonthly with 6 issues a year packed full of photos, How-To articles, Special Features, Artist Profiles, Safety articles, Graphic Trends and much more. A couple advantages to our magazine is we don't fill our pages with catalogs and most importantly we do NOT use our subscribers names for mailing list rentals. AutoArt Magazine is now coming to you with 48 pages and in "FULL COLOR". Now's the best time to Subscribe. Call right away to get our current issue, Limited supply available. Don't delay Subscribe Today to "The IndustryNews Provider" AutoArt Magazine. Subscribe today get Back Issues right away during our SUPER SALE. so stop by and visit us again soon." 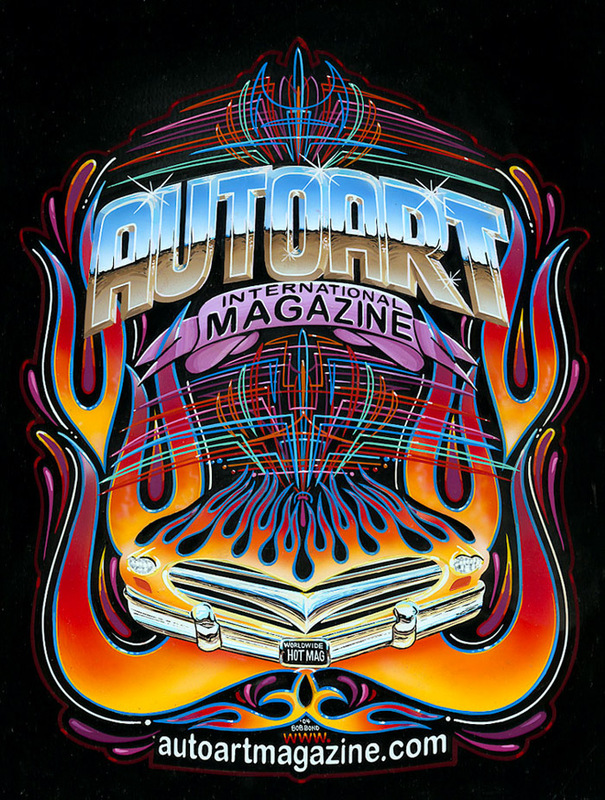 Want to sell copies of AutoArt Magazine ? duplicated without consent of the owner. Website Designed and Maintained by: Bob Bond's Artistry.